It isn't that getting customer feedback defines customer experience. No. It's a source for your business to qualify customer experience, i.e. how a customer's buyer's journey and your sales process match up. 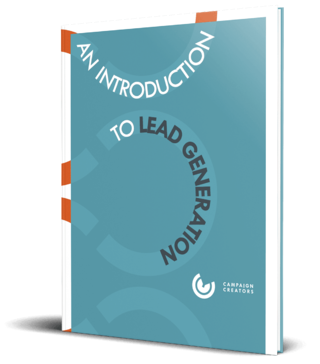 So, say you generated, educated, nurtured and converted a lead into a customer. You did the whole shebang! But upon conversion, they hit a pivotal stage in their buyer's journey. Whether or not you provided them a way to give feedback about their experience, then is the time they can. Feedback, of course, can be positive or negative, but fret not if it's the latter — you can still utilize negative feedback. However, if negative feedback goes unattended, you might be beating yourself down with future failed lead engagements. Negative feedback is somewhat a double-edged sword. How Do You Ask for Customer Feedback? Why leverage customer feedback to provide a better customer experience? To start, customer experience effects brand loyalty and word-of-mouth marketing. In fact, an estimated 77% of consumers would recommend your business to a friend after experiencing a quality buyer's journey. Additionally, 65% of a company's business comes from existing customers, so keep your customers loyal. And, of that 65%, 80% of a company's future revenue comes from just 20% of returning customers. As you can see, customer experience has a huge impact on customer retention and revenue. Let's then see one last statistic: Improving your retention by 1% improves your bottom line by about 7%. Take for example, how customer feedback helped one of our clients, an ECommerce business called VitaCup, to identify pain points in their marketing process. The channel of email played a major role in how they focused their marketing efforts, but still, they ran head-first into a brick wall after receiving spam complaints. These spam complaints were sources of negative feedback, about reaching out to the wrong audiences. They acted upon this negative feedback by cleaning their contact database and email subscriber list as well as segmented remaining contacts into appropriate email workflows. Eventually, their efforts translated into better customer experience and brand loyalty, resulting in an increase in their email revenue by 559%. Their original goal was to target 20 - 30% of previous customers to become returning customers and enhance their revenue stream. Safe to say, they did it! WANT TO LEARN SPECIALIZED TACTICS FOR OPTIMIZING YOUR VOICE OF THE CUSTOMER (VOC) STRATEGY? 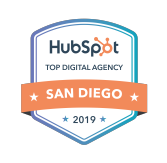 REGISTER TODAY FOR SAN DIEGO CENTRAL HUBSPOT USER GROUP'S in-person MEETUP! When a lead or customer gives you exceptionally positive feedback, they can be considered evangelists — that is, if they become voluntary advocates for your brand too. This type of customer is considerably brand loyal, thus can easily become a returning customer. Did you know? A retained customer spends 300% more than newly acquired customers, plus returning customers refer others to your business by 50% more than first-time buyers. Thus, optimizing your customer retention strategy has a big impact! How, then, do you use positive feedback from evangelists to further sway more people into becoming return buyers? By further improving your customer experience strategies! You must enhance and improve upon how their buyer's journey and your sales process line-up. Contextual feedback matters, and if a customer had a good experience with your business, then you've a foothold for asking. BEWARE: Certainly you wouldn't ask someone who gave you negative feedback these questions, at least not off-the-bat. Now, if a lead or customer provides positive feedback but doesn't become an evangelist from the start, you can also ask them to spread the word through simple email outreach. You can do so by stating your appreciation for them and ask if they'd like to share their experience over social media. Simple enough! When a lead or customer gives you negative feedback, they are called a detractor. Although a detractor voices a negative experience with your business, if it's insightful information, it can be helpful in addressing a solution not thought of before. FOR EXAMPLE: A visitor explains that when on your website, they had trouble contacting your customer service rep. Perhaps your “Contact” page isn't readily visible or you need to implement a messaging app on your website to quickly answer customer queries. Even though negative feedback can be disparaging, utilize it for your audience's buyer's journey. How? Well, effectively, negative feedback identifies points of friction with your leads and customers. Knowing where in your audience's buyer's journey these points of friction are, will allow you to identify where customer churn happens most. DID YOU NOTICE? All 3 reasons for churn are heavily customer experience-oriented. Additionally, implementing a customer experience strategy to improve any or all of these causes of customer churn reduces points of friction which reduce the amount of negative customer feedback you receive. Imagine if you only received positive feedback! Wouldn't that be ideal? We've talked about the benefits of listening to customer feedback, positive and negative, but now, how do you strategize asking for customer feedback? To start, implement strategies for listening to customer feedback based around communication channels your audiences use. Such as in our earlier VitaCup example — they identified reaching out to customers over the channel of email worked best though not at first; however, once their strategy was refined, it worked extremely well for them. So, before you implement any feedback strategies yourself, make sure you're aware of your top performing channels. . . That brings us to 3 strategies you can use to gain customers' feedback. Implementing a chatbot or messaging app to engage with customers. The first element of this strategy, manually reading and responding to customer feedback via posts, has both a good and bad side to it. “The good” is that responding manually is done with personalization and shows human attention with high regards to customer's concern. On the other hand, this takes a lot of time in general. Responding to customer feedback over social can be automated considering this, especially now that tools like Mention or Brand24 exist. Moving on, the most engaging types of social posts are those designed as questions. Social media polls are included in this as they themselves are questions but with predefined answers. So, engage with audiences in this manner and gauge feedback about why your company caught their interest, or ask what they might want to see from your company in the future, such as new features or services. Chatbots have a multitude of functionality, which of course includes giving a better customer experience. But how? Plus, AI chatbots can be implemented on more than just social but also on your website! Demographics — What is your employment status? This targets ToFu audiences and helps you assign buyer personas to contacts. Using buyer personas helps you better understand your ideal customer via a general representation, so you can focus your marketing efforts to match their needs. Product usage — Does the product help you achieve your goals? This targets BoFu audiences and gets product feedback, so you can highlight that in your marketing efforts. How do you highlight product feedback as part of your marketing efforts? One way is to place a customer's testimonial in a desired location on your website to emphasize a product's feature. Retention — If we updated (a feature of a product), could we reach out and talk about what was changed? Targets BoFu audiences and re-qualifies a customer's experience with your brand. How? Perhaps they had a bad experience before but now appreciate you addressing and taking action on their concerns. Additionally, you can use satisfaction scales over email to numerically qualify what kind of experience a customer had, such as gauging their Net Promoter Score (NPS), a scale of 1 - 10 which you can use to discern evangelists from neutralists and from detractors. Why is this beneficial? You can strategize how you'll market to each. For evangelists, you'll want to delight. For those remained neutral, they'll need further engagement. For detractors, address their concerns and take action. A website forum or message board gives your customers a direct way to leave you feedback, which is quickly accessible to you instead of having to scour other online review sites, like G2Crowd, that are talking about your business. Adjacent to this, you could also implement a knowledge base on your website, so customers have a direct location to find information about your brand, product or service. A knowledge base itself helps solve for customer's inquiries before they reach out to you. It reduces points of friction for helping customers along their buyer's journey, too. As you've read, getting customer feedback is essential for ensuring good customer experience. It effects your bottom-line by improving conversion rates, brand loyalty, word-of-mouth marketing, churn-rates and more. Plus, there are so many ways to gather customer feedback over other channels we didn't mention. . . But still, ask yourself, “Is there really any reason why I shouldn't vie for customer feedback?” To that, the answer is NO! Finally, have you heard before of a Voice of the Customer Strategy? It's a lot like a customer feedback strategy; however, it strategizes targeting an individual customer's feedback to gauge your most qualified audience's experience with your brand. See what this can look like all inside of HubSpot.